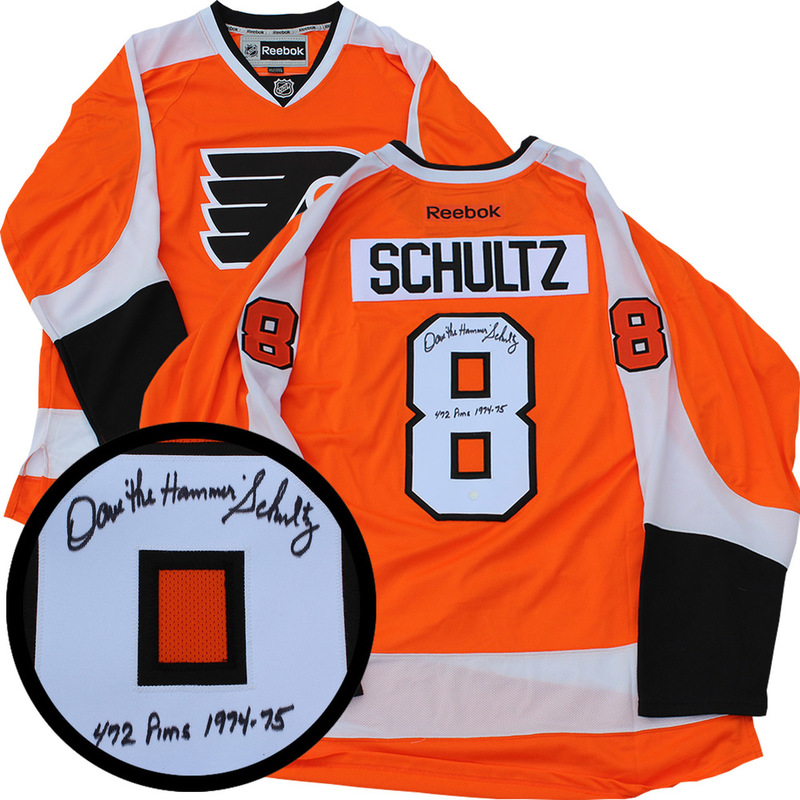 This jersey comes personally autographed by Flyers legend Dave ìThe Hammerî Schultz. This jersey comes with the inscription` 472 PIMS 1974-75`. Schultz is renowned as one of hockeyís greatest enforcers and holds the NHL record for most penalty minutes in a single season at 472. Schultz plowed through the league accumulating 2,294 PIMs in 535 career NHL games. This ranks him 35th on the NHLís all time PIM leaders. Schultz spent 9 seasons in the NHL with four teams including the flyers to win two Stanley Cups in the 74 and 75 seasons. Schultz was inducted into Flyers Hall of Fame on November 16, 2009. This NHL & NHLPA licensed product comes with a Frameworth COA and hologram to ensure the authenticity of the autograph.